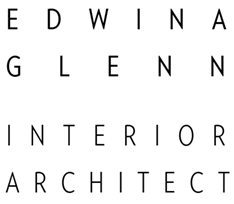 Edwina Glenn Pty Ltd was formed as a Melbourne based Interior Architecture practice in 2012. Principal designer Edwina Glenn has over 11 years of professional design experience focused predominantly on high-end residential and multi residential interiors both in Australia and abroad. Each project is approached in a highly personalised manner from spatial design through to documentation, collaboration, project management and decoration. With a young family of her own, Edwina has an excellent understanding of the needs of both families and individuals in achieving sophisticated, highly functional and unique contemporary design results.